Hermes Expo International will present a panel discussion with experts in Importing-Exporting, Tourism, knowledgeable people of Greek Specialty foods, B2B meetings, showcase of product & services exhibit and a networking reception with professionals and businesses that are looking to expand their business potential. 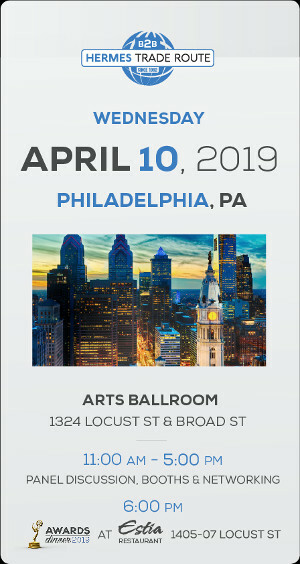 The Hermes Expo Awards Dinner and Entertainment will take place at 6 PM at Estia Restaurant on 1405 Locust Street in Philadelphia. Scholarship awards will be distributed on behalf of the Mid Atlantic Greek American Foundation.